Render to Caesar the things that are Caesar's; and to God the things that are God's. What? 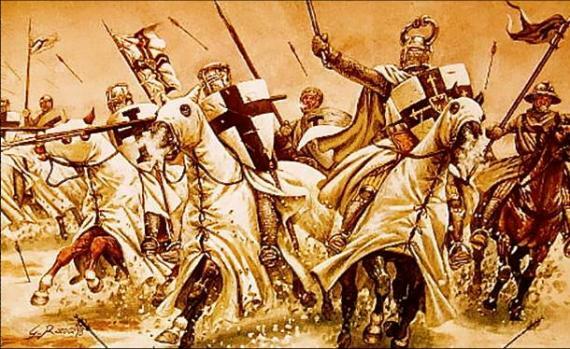 You think that the Crusades came to an end? Over at VCY America Jim Schneider with guests Peter LaBarbera and Rob Pue are feeling oh-so-terribly persecuted. It is just so awfully difficult to be a white-heterosexual-Christian-male in our society. ​You've heard the stories about Christian bakers, florists and/or photographers here in America who have faced legal trouble or even more disheartening, have had to close their businesses because it was against their conscience to provide their services to those touting the LGBTQ lifestyle. Today, Jim discusses how Christians themselves are now being discriminated against, right here under our noses. There might be some achievable compromises. However, no dialog is possible for as long as these schmucks refer to a sexual orientation as a lifestyle. I have no idea what “touting” means in that context. That is hate speech. And suppose it went against their conscience to serve Jews or Blacks or [fill in the blank]? There exists enough ambiguity in their book to hate just about anyone. It never ceases to amaze me that those in the majority who choose to discriminate against a minority in clear disobedience of valid law, and their book, have the balls to claim that they are the objects of discrimination. Rob Pue of the Wisconsin Christian News (Marshfield, Wi), sent in a printing order to the local Office Max/Office Depot for two different posters promoting upcoming ministry events in his town. Upon ordering, Pue was given confirmation of his order and was told they would soon fill it. Soon after, Pue received another response actually denying him service. The reason? The response from the store manager alleged that the subject matter of one of Pue's events was against their "prohibiting guidelines" thereby, denying him service. While Office Max was fine to print a Veteran's Day poster, they refused to print a poster which featured a coming meeting with Peter LaBarbera called "The Homosexual Agenda Exposed." Pue requested a copy of the Office Max "guidelines" but, to no avail. After some research on his own, Pue was able to read a policy but, argues that his poster information did not fall under any of their defined guidelines - which includes "hate speech." It is reported that in 2015, Office Max also denied printing services for a "pro life" poster but, did later apologize. Pue did seek (and find) printing services elsewhere but, is exploring litigation for the "singling out" he has experienced. This is all quite simple. Is the policy of Office Max not to print what they consider hate speech a violation of the Civil Rights Act of 1964 or any local law? I do not think so. Exploring litigation means soliciting the legal assistance of Mat Staver or Kelly Shackleford. Those imbeciles love faux victims. In all seriousness whether or not Pue and LaBarbera were unlawfully discriminated against, they felt like they were discriminated against. It is unfortunate that they lack the empathy to apply that feeling to gay couples who are refused service for, in my opinion, far less valid reasons. Serving them hurts no one. 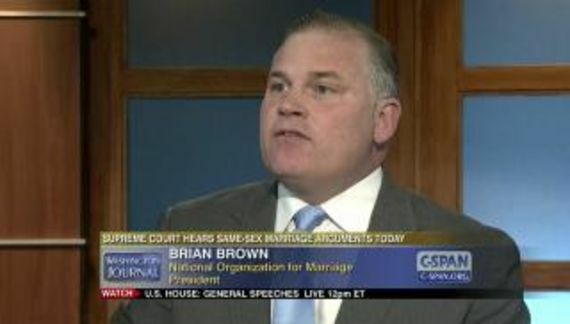 Serving Pue and LaBarbera potentially hurts the real victims of their persecution of LGBT people. And he wonders why we refer to him as a hate group leader. The agenda is to not tolerate being treated as second class citizens because of ignorance and superstition. We are at sine distance from success.